Mugsy's Rap Sheet » CNN Poll: 51 Percent of Hillary Vote is Just Anti-Trump. What happens if Romney goes indie? CNN Poll: 51 Percent of Hillary Vote is Just Anti-Trump. What happens if Romney goes indie? According to a new CNN poll, 51% of Clinton supporters say they are simply “voting against Trump” not “for” her. That’s a serious concern if the “anti-Trump” vote is given another Republican option in November. Now that Trump is the lone GOP candidate left standing, famed Neo-Conservative columnist Bill Kristol (son of Irving Kristol, the founder of the Neo-Conservative movement) is said to be actively courting 2008 “also ran” slash 2012’s loser “Mitt Romney” to run as an “Independent” in 2016. What effect (if any?) might a Romney third-party bid have on Hillary Clinton’s chances of winning in November given that roughly half of her support is simply the “anti-Trump” vote? The Clinton Campaign has coasted into first place on three memes: “She’s the natural successor to Obama” (despite being more hawkish on military affairs), she’d be “the first female president” (a test both Fiorina & Palin pass), and an unsupported belief that she’s “more electable” than her Democratic rival Bernie Sanders. Yes, there are a lot of people who genuinely like Hillary Clinton and want her to be president of the United States, but is that demographic a reliable majority? One big enough to ensure victory should another GOP candidate get into the race? She doesn’t even have 100% of Democrats. If she loses half of the support she already has to another candidate, she could be in serious trouble. She was already polling poorly against other Trump rivals like Gov. Kasich. If yet another multimillionaire “1-percenter” like Mitt “King of Bain” Romney enters the race, does that make the need for a Sanders candidacy all the more critical before it’s too late? ThinkProgress reported last week that now that Trump is the presumptive GOP nominee, many Republicans say they will “vote for Hillary”. But this is based on the assumption that Hillary will be the Democratic nominee AND the ONLY alternative to Trump. MSNBC over the weekend (no video yet available) hosted a parade of Republicans saying they are both “never Trump AND never Hillary”. For many Republicans though, she’s just enough of a hawk, like-minded on “Free Trade” and squishy on “fracking” and “the Keystone XL pipeline” that they’d be willing to endure her as president for the next four years until they can pick a better nominee in 2020. 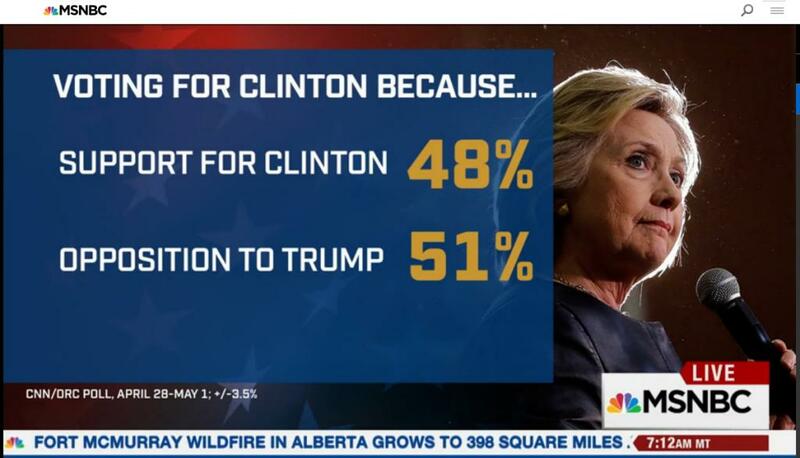 More than half of Hillary’s support is simply an “anti-Trump” vote. That’s pretty damning and raises great concern should another Conservative like Romney enter the race. Anyone polling what might happen to #Hillary if #Romney runs as an indy? How would #Bernie #Sanders fair against 2 1%’ers? 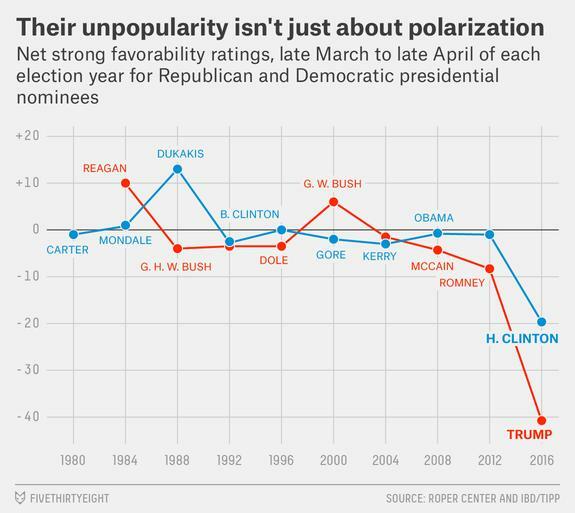 Trump & Clinton both fall off the charts (Trump far moreso than Clinton). 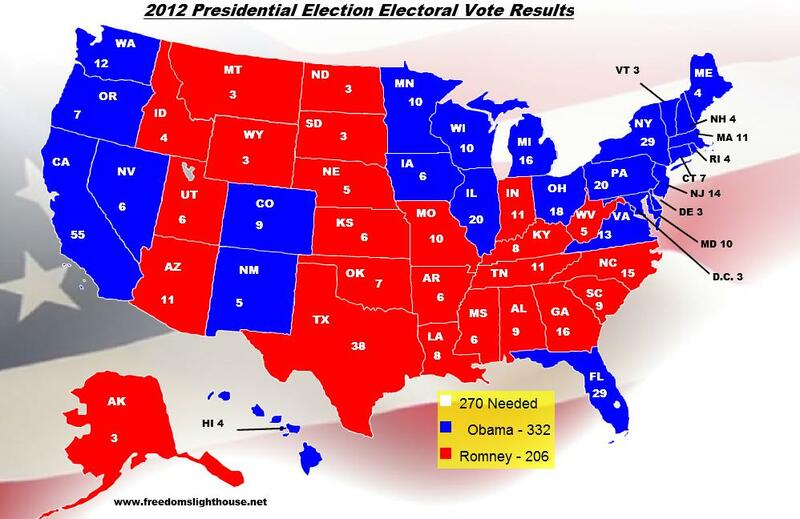 But I couldn’t help but notice where Romney last polled in 2012. A good 10 to 12 points higher than where Hillary Clinton stands today. Romney’s weaknesses were already exposed in 2012. It was his time at “Bain Capital” that made “vulture capitalism” part of the American lexicon in 2012. We already know what states he’ll win thanks to the 2012 election, but if you don’t think he’d do even better this time around vs someone as disliked/mistrusted as Clinton, you’re only fooling yourselves. The question then becomes: Do Trump and Romney end up splitting the GOP vote, making a Hillary victory even more likely? Not necessarily, because as pointed out above, more than half of Hillary’s support is simply the “anti-Trump” vote. Hillary is not Obama. There is no guarantee someone with her “unfavorable” numbers could count on winning the same close races Obama won in 2012. If given a Conservative alternative, Clinton stands to lose millions of Conservative voters to Romney. Romney already gets the “Never Trump and Never Hillary” vote, plus he would siphon away millions of Trump voters who question his fitness & temperament to be President of the United States. What voters need is a clear choice between candidates. Someone who keeps all of Clinton’s Democratic supporters, but also wins the “Never-Trump/Never-Hillary” crowd, AND draws away a number of Trump voters that question his temperament but like the idea of his “self funded campaign” not beholden to any Special Interests, opposes devastating “free trade” agreements, has criticized Wall Street, opposed the invasion of Iraq, and talks about forcing the Saudi’s to start paying for their own defense… all Trump positions Sanders shares without the hateful racist rhetoric. Add to that his “honest & trustworthy” reputation, critic of Democrats and even the Obama Administration, and (like it or not) his history of defending hunters & legal gun ownership, all make him the stronger general election candidate (both in a three-way race that includes Mitt Romney as well as a two-way race against Trump.) Bernie, whose entire campaign has been fighting the obscene wealth and destructive power of the “1-percent” vs two destructive “1-percenters” like Trump & Romney? Or must voters choose between three “1-perenters”? Could voters have a clearer choice? Knowing this, there is a possibility Romney… if he decides to run… may wait until after Hillary has locked up the Democratic nomination before announcing his plan to run to ensure Clinton… the weaker General Election candidate… is his opponent (with hopes to siphon away disaffected Sanders supporters.) Please note my fellow Bernie fans: “Write-ins” don’t win national campaigns. They just don’t. So stop praying for that particular miracle. Given three choices, a majority of voters in this country aren’t going to go through the process of writing in Sanders when they have three other candidates to chose from. If the greatest argument for voting for Clinton is simply that’s she’s “not Trump”, then we need a candidate whose platform is tailor made to run against two multimillionaire 1%’ers like Trump & Romney that made their millions profiting off the backs of the little guy. And try to imagine what becomes of Democrats chances of… not only retaining control of the White House but retaking either House of Congress should yet another Clinton scandal hit the news, an existing investigation catches fire, or those transcripts she has been fighting to conceal are revealed just in time for the election? Sanders needs to win the Primaries and be the Democratic nominee before it’s too late and the “anti-Trump” vote keeping Clinton afloat finds its way to a more desirable target. from Mugsy RapSheet on Vimeo. Last month, Clinton released a single 15 minute clip on the subject of “women in the workplace” from one of many hour-long speeches. Ergo, WE NOW KNOW that her refusal to release the speeches has NOTHING to do with “fairness”. Because if they made her look good, she would have released them MONTHS ago just as she did with that single 15-minute clip. When first asked why she wouldn’t release the transcripts during one of the early Democratic debates, her excuse was that she would “when everyone else released theirs.” Sanders gave no speeches. Trump is the only other candidate and there is no evidence he gave any private speeches to Wall Street either. Her latest excuse is she’s now waiting on others to “release their tax returns”. Seriously, is this what you want in as your Party’s nominee?